Good morning, dear friends. A few days ago I took a nap at noon. This is something I rarely do! In fact I hate sleepin at noon because when I wake up, I feel nervous and I desperately want to eat something sweet! 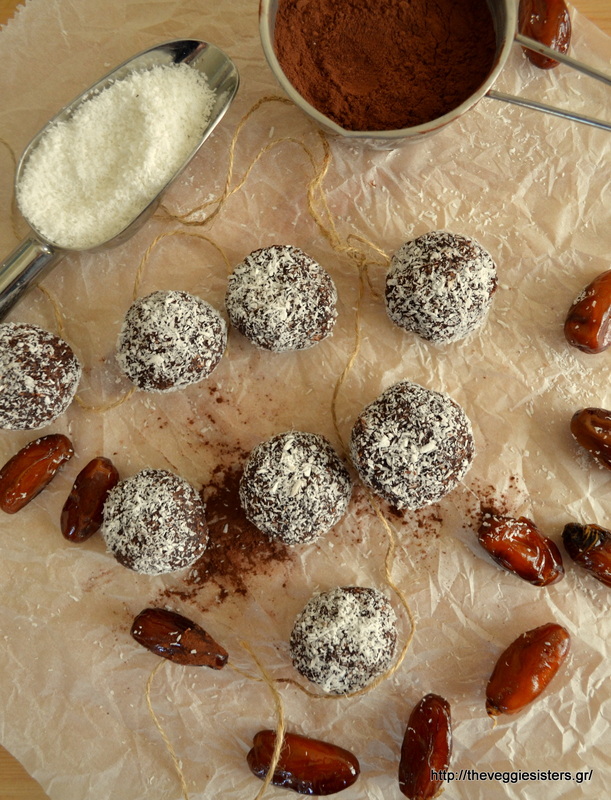 The other day I had nothing sweet to eat so I improvised this coconut truffles. Of all the truffles we have made (and we have made a lot since we are truffle fans!) these are the easiest and simplest. Only 3 ingredients, no sugar, no effort! And of course they taste heavenly! They are a healthy sweet treat for our kids! Ioanna, I know you are reading this post, so make these for your princess! I am sure she will love them. Our nephew, Paul, gave the thumb up immediately when he tried them! So what are you waiting for? Go make yourselves a batch! In a blender pulse dates with 1 Tbsp water until you get a nice paste. 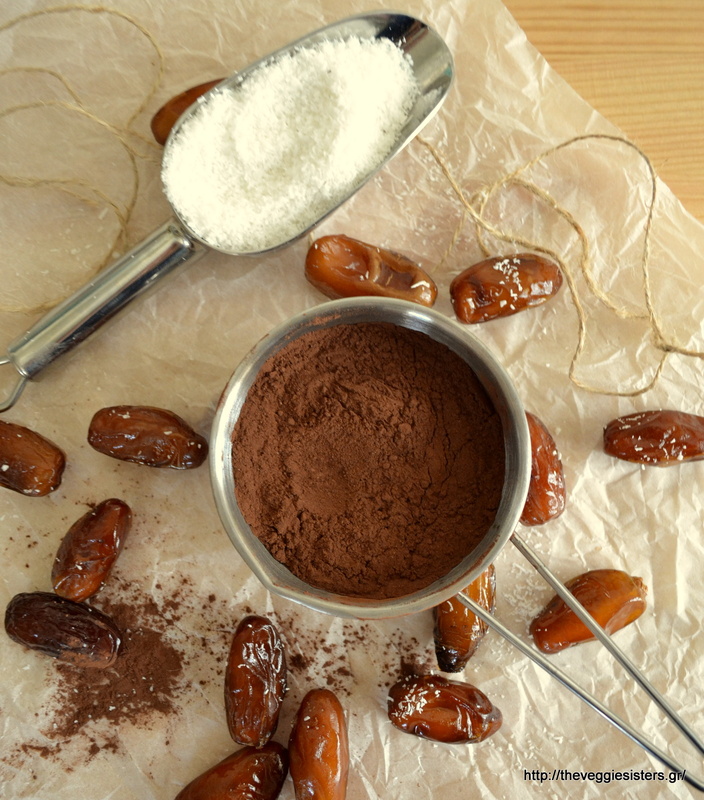 In a bowl combine coconut with cocoa powder. Add this mixture to the date paste and pulse again until well combined. Form into balls and roll them on coconut. Keep in an airtight container in the fridge. They keep well for days. Enjoy! 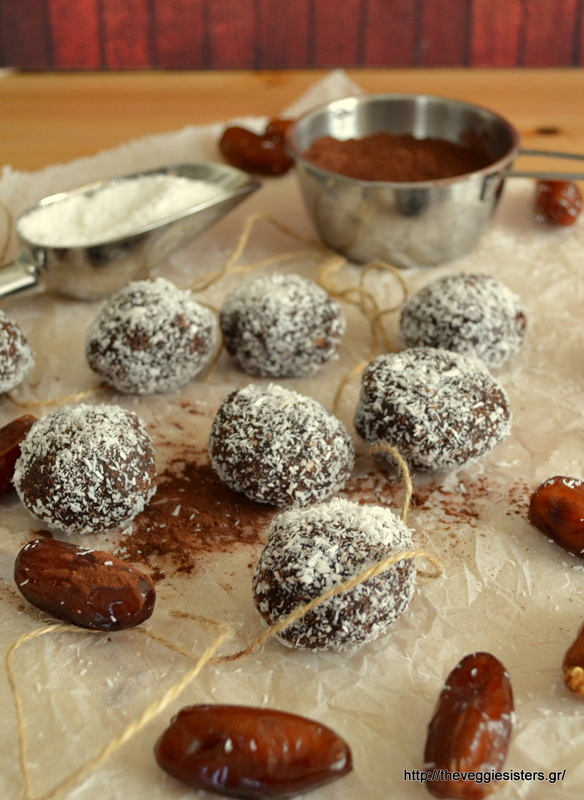 Share the post "Coconut truffles"